At One Fitness is a state of the art facility with top of the line cardio, strength and martial arts training equipment. to help you reach your fitness goals in both body and mind! Personal training is a great way to reach your fitness goals. It allows you to get your individual needs met by working with a certified trainer who designs a workout program just for you. At One Fitness has several different membership options to fit your time and budget! Gym only, class cards, personal training and unlimited packages available. This gym was designed by a trainer for trainers. We provide clean, top quality equipment for you and your clients. 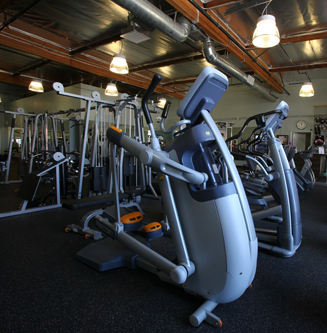 We recognize providing a great gym for your clients is key to your success. 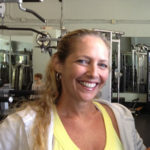      Robin, a Hollywood native, has been in the dance and fitness world for over 20 years. Professionally trained in New York and L. A., Robin performed in many dance companies, videos and commercials. Robin is now a personal trainer certified by the National Academy of Sports Medicine, American Council of Exercise, Resistance Specialist, Senior Fitness Assoc., and Nutrition Management, as well as a specialty in fibromyalgia and pre/post natal care. She has been featured in the Daily News, KTLA news, and Shape Magazine! Robin offers an annual free fitness day open to the community and helps organize the North Hollywood Children's Show.